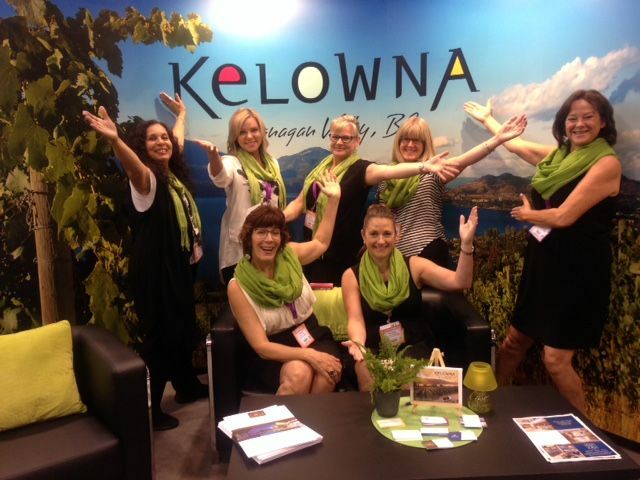 A delegation from Kelowna, led by Tourism Kelowna’s Pat Gappmayr, exhibited at the 2016 Incentive Works tradeshow this past week in Toronto. The Kelowna Team was comprised of representatives from the Coast Capri Hotel, The Cove Lakeside Resort, Four Points by Sheraton, Delta Grand Okanagan Resort & Conference Centre, Shop the Valley, and Mission Hill Family Estate. The team welcomed over 100 planners to our booth to sip Mission Hill Late Harvest Vidal from chocolate cups and were presented with the 10 reasons why they should have their next meeting or event in our city. During the conversations at our tradeshow booth, we received two requests for proposal and two hot leads to follow up on. For more information on this and other sales events, please contact Jennifer Horsnell at jennifer@tourismkelowna.com or at 250-861-1515 ext 205.